Hearty comfort food with a touching testimony. 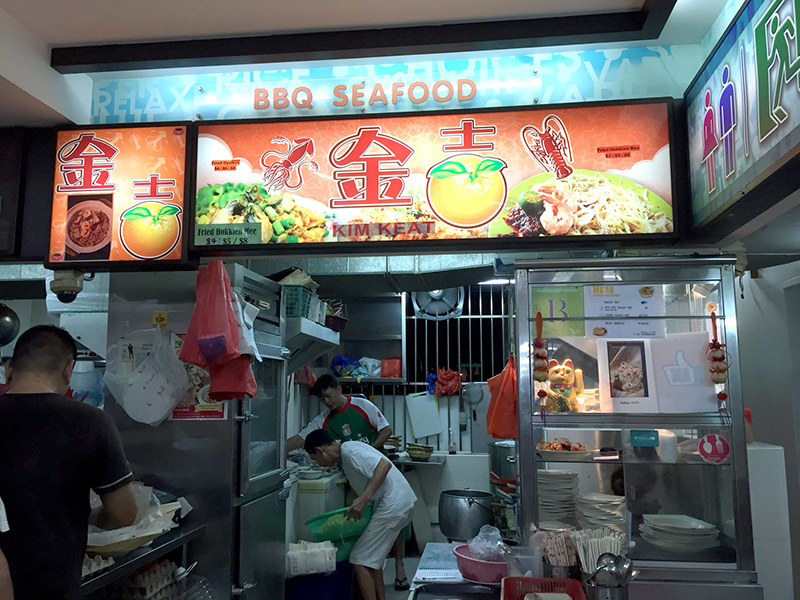 This creative twist of Hokkien Mee gave the chef— who was an ex-convict, a new lease of life! Address: 92 Lorong 4 Toa Payoh, 310092. Opening Hours: 11:30am to 9.30pm, closed on Tuesdays. Normal Hokkien noodles without Opeh leaf is $3 or $ 5. 1. Hokkien Mee with Lala in Opeh leaf is $8 onwards. 2. Hokkien Mee in Claypot with deep fried Roasted Pork is $10 or more. A pot of $10 is just nice for 2 person to share — Love the chunks of roast pork and chewy clams. 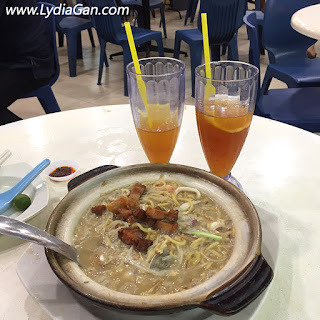 My hubby and I waited 45mins for the Claypot Lala Hokkien Mee on a Sunday night. Best to visit this place on a weekday. The ice-lemon tea in this coffee shop is one of the best I had.Must try! Multi-storey car park is conveniently located next to this popular coffee shop.